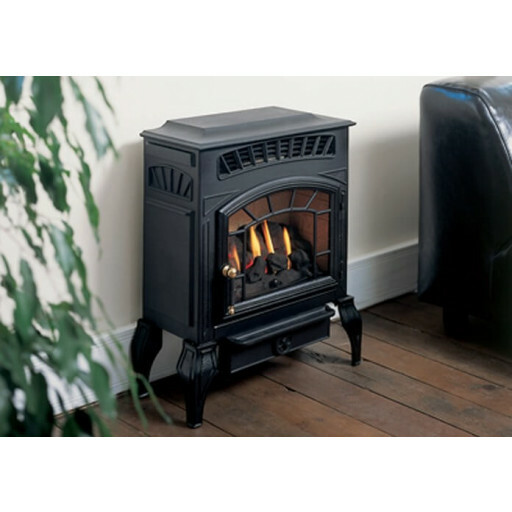 The Burley Esteem Flueless Stove is an attractive cast aluminum stove that features the classic appearance and feel of a traditional wood burning stove. However, since the Burley Esteem Flueless Stove does not need a chimney or flue, it does not have the inefficiency or mess of a traditional wood burning stove. The stove is 100 percent efficient and has a realistic coal effect which can be clearly viewed through the glass front. It burns very clean and any wasted gas passes through a catalytic converter.The Burley Esteem Flueless Stove is totally freestanding and can be positioned on a flat wall. It can also be installed within any home, even those without a chimney or flue, subject to a minimum size required of 30 cubic metres and minimum ventilation of 100cm2. 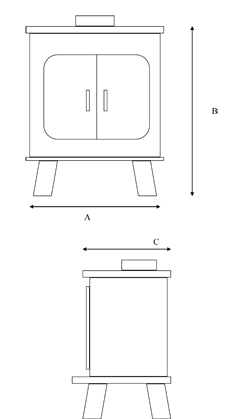 The stove provides a heat output of 2.5kW. Specific features of the Burley Esteem Flueless Stove include a thermostat, oxygen depletion sensor and a coal effect fuel bed. WE NEEDED A FLUELESS GAS FIRE AND THE FIREPLACE WAREHOUSE FOUND US THE IDEAL STOVE,GREAT VALUE FOR MONEY AND EXCELLENT SERVICE.